A sheer rarity as you head to the Benedictine convent of St. Margarita on Pag. Tis here that for centuries they’ve been making baškotin, a kind of hard sweet toast which is the signature special monastery recipe. At 60 kunas per kilogramme, we’ll toast to that! A typical cheesecake cake from the Vrbnik region weighing 2kg whole! Here it is all in the process with the freshest local ingredients used which includes sheep milk cheese from the Krk Island. This one of a kind dessert can be found at the restaurant called ‘Nada’. Have you ever eaten dormice? Roman emperors ate dormice (or puh in Croatian) which were popular appetisers in their day. 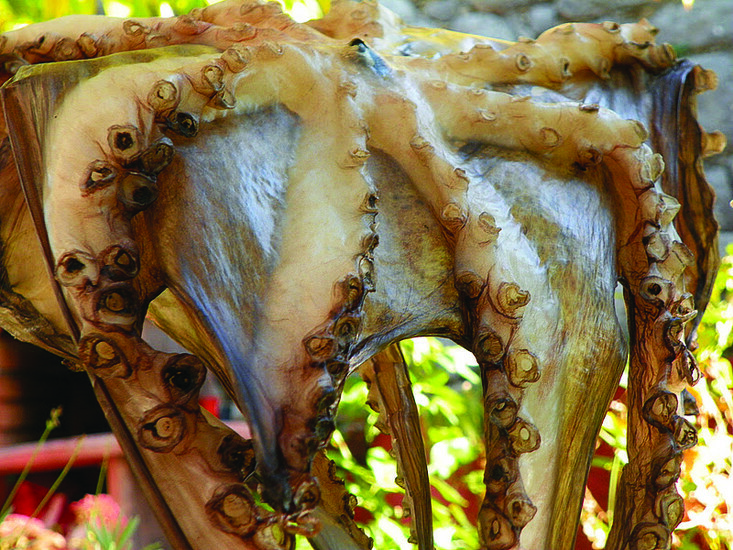 The tradition continues in the tiny village of Dol, on the island of Brač. Konoba Toni is a tavern where they prepare dormice on a spit or if you find yourself in Fužine, Gorski Kotar around September, dormice goulash is the thumbs up. Devotees to cheese on the fine pallet ought to try cheese made with sage, or rosemary immortelle as well as cheese aged in walnut leaves. The Magriž Cheese Factory is family run in Kornić, on the island of Krk, and can be found on Ulica 17. travnja 9, where they sell their products at their very doorstep. When in Nin, head to the Nin Salt Works which produce salt that naturally has a higher concentration of iodine because of special algae that grows in the vicinity of the Nin Bay. On the topic, when given bread with a few grains of salt in Croatia, it is a symbol of sincere welcome. Best you bread up! A dilemma that’s been debated for centuries is best to be solved on the island of Vis. When in Split or parts of Dalmatia, look for the gassy fresh drink Pipi, a bubbly drink that you can only find in these parts and is mega popular. It is a fuse between Fanta and Miranda but original to Split. Lots of cafes sell it so bug the waiters and request a Pipi, it is perfect on a blistering hot summer day! If you can’t find it, look up Dalmacija Vino store in Split. 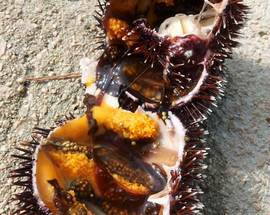 Ok seafood lovers, particularly those who love mussels! Drive to a place called Poljica, near Marina (the road to Split) and you can buy mussels per kg in shell farms, and then roast them on the grill which is finger lickn good! Looking for some original food from the Zadar region, then why not try some Benkovac vara during the summer months. It is chickpeas cooked in water with kidney beans and sweet corn, very simple and served with olive oil. One of the places to find it is at the Five Wells Restaurant. A revelation in the Neretva County is the audaciously spiced fish stew made of frogs and eels which you can find at the restaurant named Mate and Đuđe, in Vid. Bring the mints! If you are staying on the islands of Rab or Lošinj then why not try their ala natural delicacy - dried octopus. You can even have it with scrambled eggs for breakfast, kid you not! The island of Ist, ist good! Learn why Italian boaters often stop at the island of Ist for an authentic special called majoline! Pujina with sugar of course! Pujina is the whey that is left after cheese production. It differs from standard cheese with its ingredients of fat and protein, and is consumed fresh. 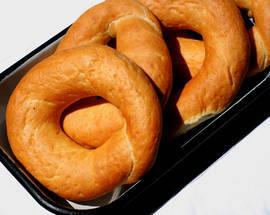 Ask around the islands of Pag or Brač on where to buy fresh Pujina for a hearty breakfast. An unusual ingredient called varenik is thought to have been made on Brač for 2000 years – it was mentioned during Roman times. 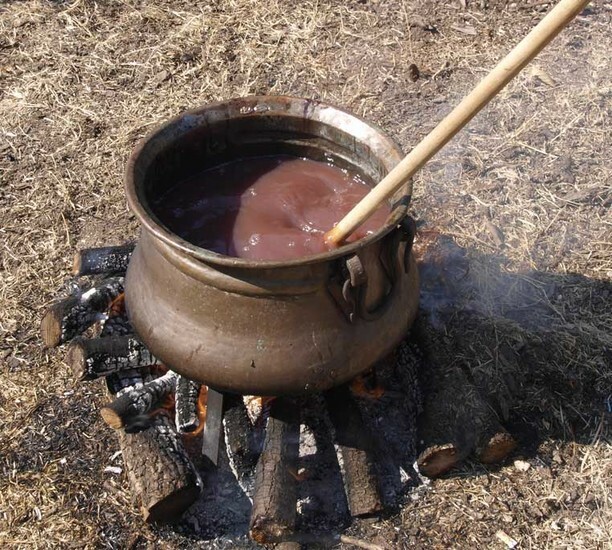 It’s made by boiling red wine down to a concentrate, which is then stored in bottles and added to all sorts of foods, sweet and savoury, to impart a unique and rich flavour. 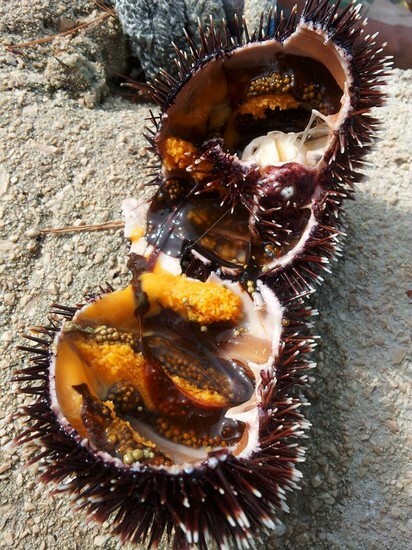 During the time of the Varenik festival at the end of September, dishes are prepared showcasing the use of this ingredient, and the island’s restaurants have a range of specials on the menu. 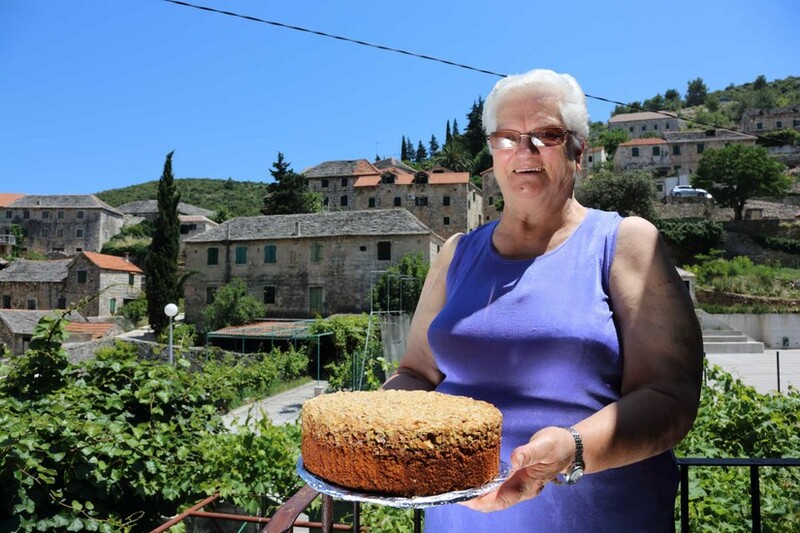 The village of Dol has its very own living legend – a lady named Barica who is proud holder of the title of World Champion in the making of hrapačuša cake. 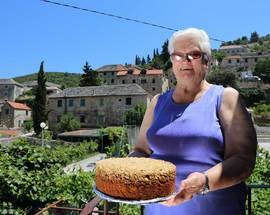 Some may point out that hrapačuša is only made on Brač and in particular in Dol and that this is therefore no achievement at all, but we defy anyone to taste the cake of Barica and tell us that she is not among the greats of this planet, or even neighbouring galaxies, in the art of making cake. 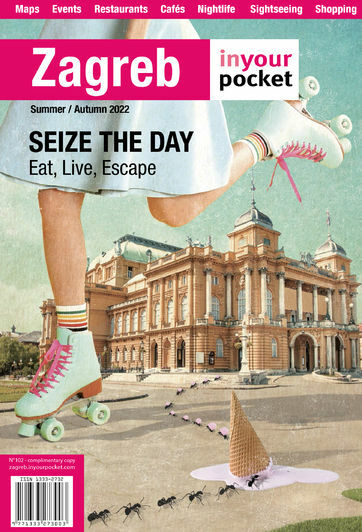 Her hrapačuša is a crescendo of nuts, lemon, caramelised sugar and egg yolk, a calorific atom bomb that induces an intense sugar rush and has been named “Dol Viagra” with good reason. Try Barica’s award-winning cake in Konoba Toni or at island gastronomy festival Hrapačuša Night at August 16th. Go to the Dolac Market and look for the older ladies we call kumice who sell excellent homemade corn bread, handmade an in accordance to old recipes. Try authentic Croatian craft beer. Zmajska Pivovara is a brewery which produces two sorts of their own beer - Pale ale and porter. If heading towards Zaprešić, the Castle Lužnica is home to a group of nuns who produce a variety of products made with dandelion, among them excellent honey. 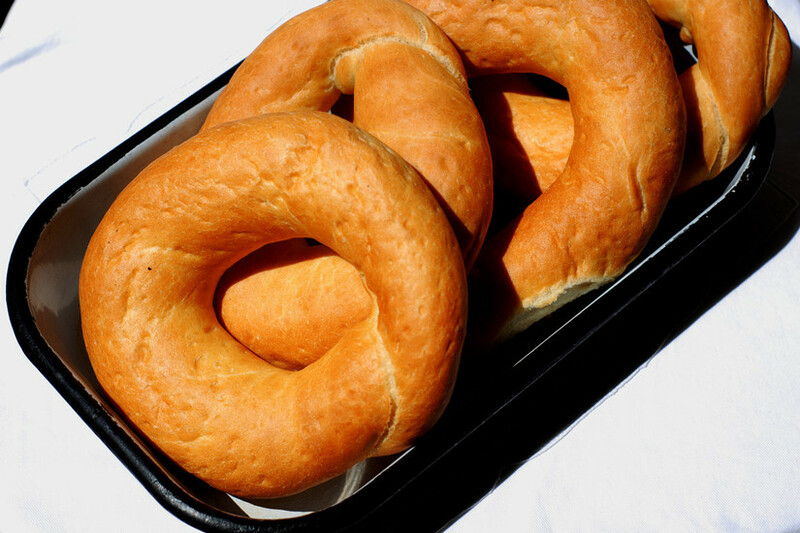 Try kukurzna zlevanka, a traditional sweet corn cake with cottage cheese from the region of Zagorje. It is excellent as both a warm appetiser and a cold snack. If you are thinking of visiting Zagreb's surroundings, be sure to try meat from the bajnica, ham treated with fat and oil for preservation over time and an absolute delicacy. 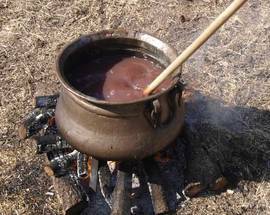 This is what our ancestors did when refrigerators were not around and you can find bajnica in many of the homesteads you come across.